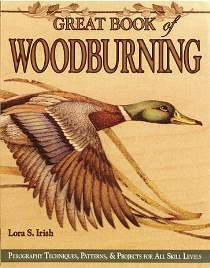 If you want to experience the joy of wood burning, all you need is a wood buring tool and this book. This fully illustrated, 200 page guide, shares every secret for crafting beautiful burned images from any drawing, pattern or photograph. Includes 25 patterns with step-by-step instructions.